The cryptocurrency industry, like any other industry, has its admirers and adherents. As they develop and scale, cryptocurrency and blockchain attract more and more enthusiasts. Developers join together in the community to create and develop projects, promote technology, so that they become more known and popular among people. At the same time, special communities are established that require effective management. DAOstack is a modern innovative project that has no analogues. This project can become the future of the Decentralized Autonomous Organizations. This project is intended just for the effective management of such communities. 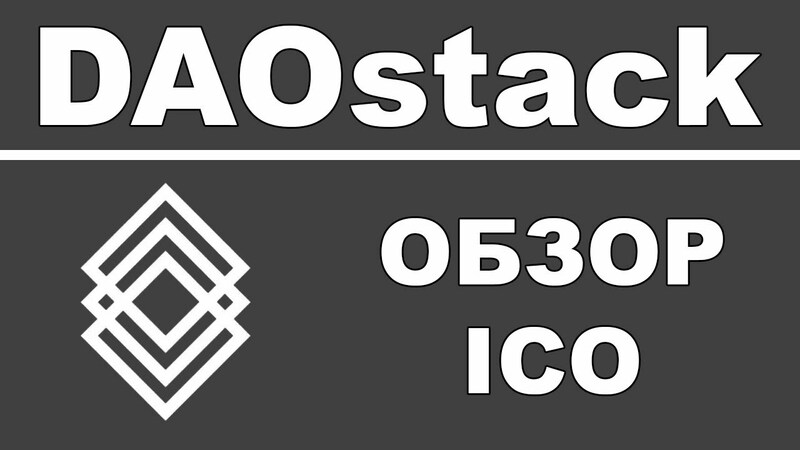 In fact, DAOstack is the operating system for DAO. It is understood that on the DAOstack platform, teams and entire companies will be able to organize, monitor and coordinate common tasks to achieve the set goals. The developers of the project made a special emphasis on ease of access and availability of their services. To use it, you do not need to be a programmer or have special training. Alchemy's user interface will allow anyone without technical education, in just a few steps, to become a full-fledged member of the community. Thanks to this, he will be able to participate in management and decision-making. To the voting process on the platform, the DAOstack team approached particularly scrupulously. In earlier models, decisions were made by platform token holders. This means that the more tokens you have, the higher the power of your voice, and by this you can more strongly influence the desired solution. Naturally, in this scheme there is a place for speculation, since tokens can simply be purchased on the stock exchange and this affects the course of decision making. In DAOstack, a voting method based on the reputation of its participants was introduced. A minority of a community with a higher reputation can affect the majority with a lesser reputation. 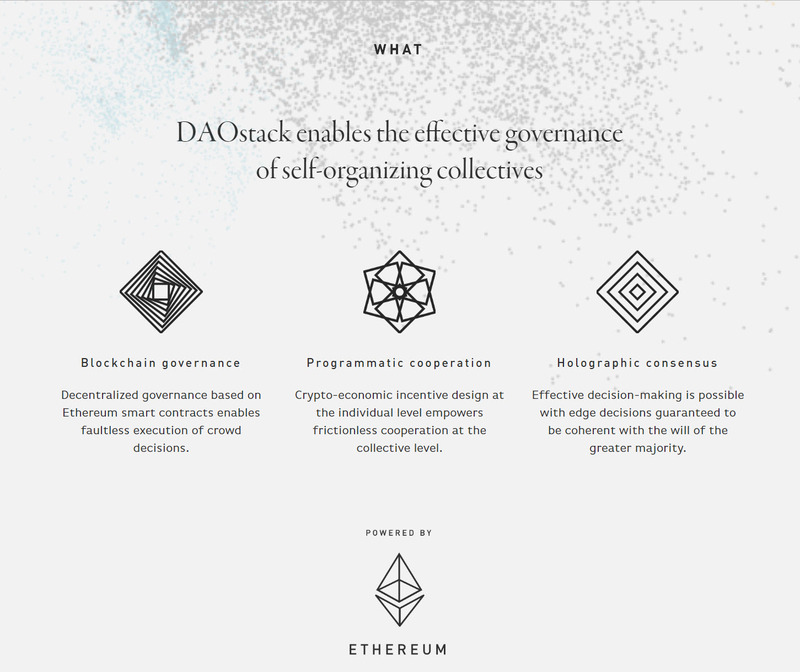 The blockchain and ethereum platform gives us the opportunity to review how companies and the business as a whole can be arranged, and DAOstack responds to how these companies can be managed. Areas of application, tasks and solutions. Bitcoin and the etherium did a lot to change people's thoughts about value and its transfer, the deployment of applications, smart contracts, but there remained the "control problem" - how to make management so that decentralization, openness, and at the same time not return to centralized management and decision-making? This is one of the main tasks that DAOstack decides by creating an integrated layer of technology for managing both large organizations and the tasks that a community or group of people is facing. It can be: production, investment funds, insurance companies, process and object control, and much much more. As the development of the cryptocurrency industry, the community of developers faced the problem of scaling projects. The direction of cryptoeconomy began to develop very rapidly. As practice shows, not all projects created in the early stages were ready for this. In some cases, the question of scaling proved to be so complex and expensive that it was easier to create from scratch something new, refined. So, in DAOstack there is no such problem. The platform is absolutely flexible and scalable. This feature is embedded in the project on a fundamental level. ARC is an adaptive framework that is a library of modules and structurally looks like a set of mechanisms for managing the platform. It allows you to mix these modules with each other. This makes it possible to create separate protocols for absolutely any DAO. ARC also allows you to very quickly change and modernize already functioning systems of DAO. The internal token of the platform is GEN. This token will be used to implement internal operations in the DAOstack system. 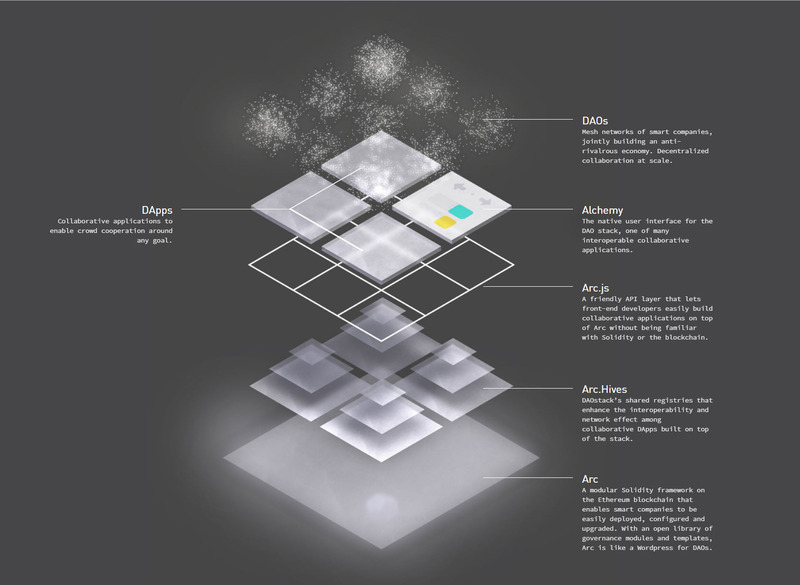 DAOstack has a lot of interesting, useful and unique features, it is very detailed in the technical documentation of the project.It is important to understand that on the basis of the DAOstack platform you can create communities for the implementation of absolutely any projects or tasks. Imagine that you have a retail sales network with points of sales around the world. You can successfully manage them using an ecosystem created on the DAOstack platform. And as it can be information resources, news tapes, web-projects, trade networks. That is, absolutely any community that requires effective management, but at the same time possesses high flexibility and scalability. I already see the huge potential of DAOstack. You just imagine what the demand for the services of this platform will be, when the communities understand its advantages. After all, DAOstack took the best modern technologies and made them available for everyday use of a mass of users. In my opinion, DAOstack is one of those projects that allow the introduction of decentralized technologies and cryptocurrency tools into the real sector of the economy for use today. In a global sense, this has a very positive effect on cryptoeconomics in general and gives it the potential for future development and becoming an effective model.